Symptomatic remission can be achieved using a simple treatment algorithm comprising the sequential administration of amisulpride and clozapine in the early stages of schizophrenia patients, according to a study recently published in the journal The Lancet Psychiatry. The three-phase study included patients aged 18–40 years who met criteria of the DSM-IV for schizophrenia, schizophreniform disorder, or schizoaffective disorder and were treated for 4 weeks with up to 800 mg/day amisulpride orally in an open-label design (phase 1). Patients who did not meet symptomatic remission criteria at 4 weeks were randomly assigned to continue amisulpride or switch to olanzapine (≤20 mg/day) during a 6-week double-blind phase(phase 2). Patients who were not in remission at 10 weeks were given clozapine (≤900 mg/day) for an additional 12 weeks in an open-label design (phase 3). 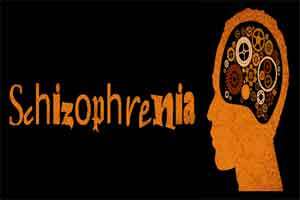 The study found that over half of individuals with their first episode of schizophrenia achieved remission of symptoms after completing 4 weeks of treatment with 200-800 mg/day of oral amisulpride. As part of the second phase of the OPTIMISE trial (Optimization of Treatment and Management of Schizophrenia in Europe), 93 of these patients who didn’t achieve the criteria for remission continued thereafter, randomly assigned to either continue their amisulpride treatment or to switch to olanzapine (Zyprexa) treatment for 6 additional weeks. Among those who completed this second phase of treatment, 44% were able to achieve remission of schizophrenia symptoms. The number of individuals who achieved remission after 6 weeks of treatment was similar between those on amisulpride and olanzapine treatment (45% versus 44%). Patients on amisulpride and olanzapine treatment had similar odds of achieving the remission criteria for schizophrenia and also had similar Positive and Negative Syndrome Scale (PANSS) scores by the end of their 6 weeks of treatment. During this phase of the study, adverse events were generally similar between the amisulpride and olanzapine treatment groups. The number of serious adverse events did not differ between the treatment arms in phase 2: one patient on olanzapine was admitted to hospital because of an epileptic seizure, and one patient on amisulpride was admitted to hospital twice because of exacerbations of psychotic symptoms. Over the course of the trial, two serious suicide attempts were reported. A total of 18 individuals who did not achieve remission during the second phase of the study entered the third and final phase of the study, which involved 12 weeks of 100-900 mg/ day clozapine treatment. Among those who completed clozapine treatment, 28% achieved remission. After this third treatment phase, there was a 76% cumulative remission for the study participants. The study concluded that in most patients, sequential administration of amisulpride and clozapine in the early stages of schizophrenia can help achieve symptomatic remission. The authors suggested that if switching to olanzapine did not improve outcome, then clozapine should be used after patients fail a single antipsychotic trial and not until two antipsychotics have been tried, as is the current recommendation.